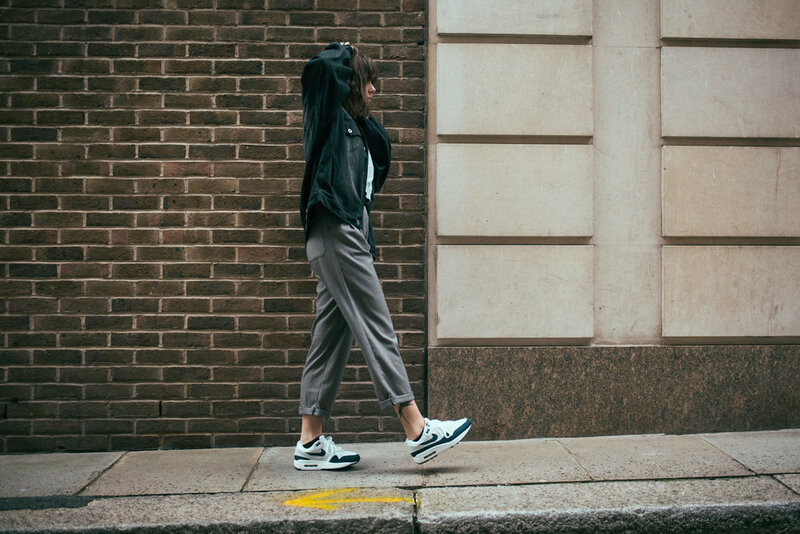 I'm super excited to share with you a few outfit pictures today focussed around these Nike Air Max 1s. I feel like I have a multitude of different styles, from preppy and subdued to dark and grungy to the more sporty, streetwear side of things. It's something that I felt a bit self-conscious about as a teenager; I admired the put-togetherness, the dedication of people who had one particular style and stuck with it. Not to mention it used to be a question I was asked a lot in the comments of my videos, or on twitter: how would you describe your style? I still have no idea what the answer is. These days I appreciate being a little bit of a chameleon, and although I'll have days when I'm head-to-toe in one of them, more often than not you'll see me mixing and matching styles within one outfit, as evidenced by these ones. 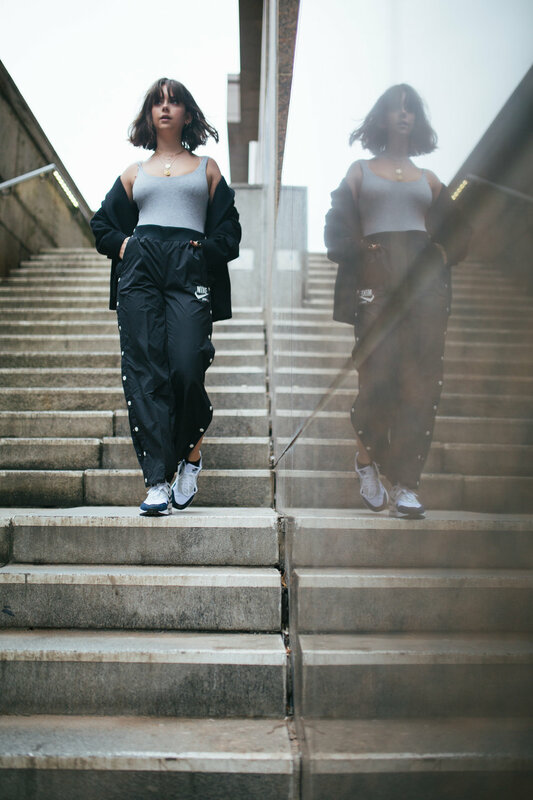 Almost always, though, I want my fashion to be comfortable and wearable (you'll rarely find me on heels unless it’s a special occasion), and I think this is what draws me back to sportswear again and again. When it comes to incorporating it, a good pair of trainers is the perfect way to make any outfit more casual and relaxed. I've never owned a pair of Air Max 1s, but I found them to be a really nice midway between a more bulky trainer and something more subtle, and the new retro-looking colourways are gorgeous. I hope you guys like this little lookbook (the first I've done on the blog! ).